Two Spanish Navy patrol ships berthed in Barceliona´s World Trade Centre cruise terminal on 22 March 2009. Spanish ferry MANUEL AZANA and French cruise ferry GIROLATA undergoing maintenance repairs at the Barcelona yard of Union Naval de Levante. The Portuguese flag Madeira registered cruise ship GRAND CELEBRATION photographed in Barcelona on 22 March 2009. The ex-CELEBRATION of Carnival Cruise Lines operates seven-day cruises out of Barcelona for the Spanish market. Washington March 16, 2009 - A federal judge in Corpus Christi, Texas, has sentenced General Maritime Management (Portugal), the operator of a fleet of tanker vessels, and two crewmembers of the motor tanker Genmar Defiance for making false statements to the U.S. Coast Guard and failing to maintain an accurate Oil Record Book designed to prevent pollution of the world’s oceans as required by United States and international law, the Justice Department announced. The court sentenced General Maritime Management (Portugal) LDA, late Friday, to pay a $1 million fine. In addition, the company was sentenced to serve five years of probation. Special conditions of the probation require the company to rehire the whistleblowers if they reapply for employment; submit monthly reports, under oath, regarding compliance; and allow a court appointed official to perform three audits of each vessel and three audits of its shore side office during the probation period. Violations of the terms of probation could result in one or more of the company’s ships being banned from U.S. territorial waters during the term of the probation. Chief Engineer Antonio Rodrigues was previously sentenced for the same violations on Feb. 10, 2009 to three months of confinement in a half-way house, a $500 fine, a special assessment of $200 and five years of probation. First Engineer Cavadas was likewise sentenced on Feb. 10, 2009 to six months of confinement in a half-way house, a $500 fine, a special assessment of $200 and five years of probation. During the hearing, the court awarded $250,000 to the five whistleblowers to be divided on a proportional basis for their actions and cooperation. The company and two crewmembers were found guilty on all counts by a jury on Nov. 25, 2008. The trial and sentencing were presided over by the Honorable Janis Graham Jack, U.S. District Judge for the Southern District of Texas. Engine room operations on-board large oceangoing vessels such as the Genmar Defiance generate large amounts of waste oil. International and U.S. law prohibit the discharge of waste oil above 15 parts per million oil to water; which can be achieved by the proper operation of an oil-water separator. The law also requires that all of the oil transferred onto, off of, or between tanks within a ship be recorded in the Oil Record Book so all the oil on a ship can be accounted for when the ship is inspected by the U.S. Coast Guard and other port state control authorities around the world. The criminal convictions were related to events occurring on board the Genmar Defiance during a voyage to Corpus Christi in November 2007. On Nov. 24, 2007, engine room crew members were directed by First Engineer Cavadas to assist in hooking-up a flexible hose between the ship’s bilge pump and the overboard discharge valve bypassing the vessel’s pollution prevention equipment—its oil-water separator—and allowed crewmembers to pump the contents of the bilge tank directly into the Straits of Florida and the Gulf of Mexico. Further, on Nov. 26, 2007, one of the crew members working in the ship’s engine room was ordered by First Engineer Cavadas and Chief Engineer Rodrigues to assist in connecting a hose from the vessel’s fresh water supply to the oil content meter on the ships oil-water separator. The connection allowed the engineers to “trick” the oil content meter and prevent it from shutting a valve that would re-circulate oily water to the bilge tank where it would be treated through the oil-water separator before being discharged overboard. By tricking the oil content meter, the oily water was permitted to be discharged directly overboard in violation of international law. Two engine room crewmen secretly photographed the illegal connection and provided the photographs to the Coast Guard during a boarding of the vessel on Nov. 28, 2007 while the Genmar Defiance was docked at the Valero refinery. “This significant criminal fine along with the maximum term of probation requiring audits and regular reporting sends a strong signal that companies will be punished severely, will be required to prove to the court that they have learned their lesson and taken actual steps to reform their corporate practices and are complying with the law,” said John C. Cruden, Acting Assistant Attorney General for the Justice Department’s Environment and Natural Resources Division. “Illegal pollution from ships is a continuing problem and the Justice Department will continue to work with the Coast Guard and the Environmental Protection Agency to prosecute those who violate our nation’s laws designed to protect the environment and candor with investigators.” “The Coast Guard places a high priority on its stewardship of the marine environment,” said Captain John H. Korn, Chief of Staff of the Eighth Coast Guard District. “We appreciate the dedicated efforts of the Department of Justice; the successful investigation and prosecution of cases like the GenMar Defiance takes considerable coordination among interagency partners. Efforts such as this are key to protecting the environment for all.” “The oceans must be protected and commercial vessels must operate safely and lawfully,” said Warren Amburn, Special Agent in Charge for EPA’s Criminal Investigation Division in Dallas. “Today's sentences send a clear message that those who violate the law and pollute the seas will be prosecuted.” This case was investigated by the U.S. Coast Guard, and the Environmental Crimes Task Force, which includes the U.S. Environmental Protection Agency, the Texas Commission on Environmental Quality Investigations Division, and the Texas Parks and Wildlife Department. The case was prosecuted by the Justice Department’s Environmental Crimes SecAtion. A GENMAR (PORTUGAL) é a denominação actual do antigo armador português SOPONATA, comprado pelo Grupo GENMAR há cerca de 5 anos. Os EUA são o maior poluidor do mundo, e não deixa de ser curioso o método de investigação alegadamente utilizado baseado na delação paga de elementos da tripulação do navio. Passam-se coisas muitos estranhas na terra dos indios. 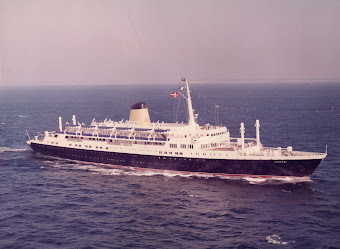 Constructed in 1948 at Clydebank by Messrs John Brown side by side with Cunard CARONIA and her sister PÁTRIA. 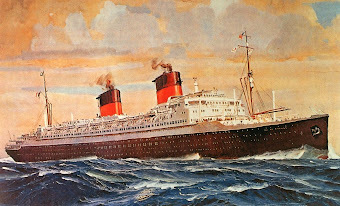 Both sisters replaced three older CCN mail liners in the Lisbon - East Africa service: COLONIAL, MOUZINHO and JOÃO BELO and operated on the Lisbon, Leixões, Lisbon, Funchal, São Tomé, Luanda, Lobito, Moçamedes, Cape Town, Lourenço Marques, Beira, Moçambique, Nacala and Porto Amélia regular service, the round voyage taking about 50 days. In October 1961 a third mail liner was introduced, the magnificent INFANTE DOM HENRIQUE. 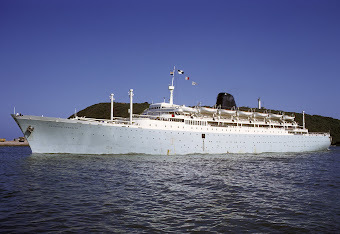 The jet age and the independence of Portuguesa Africa led to the demise of those ships: PÁTRIA in May 1973, IMPÉRIO early in 1974 and INFANTE DOM HENRIQUE in December 1975. 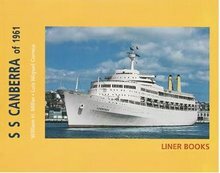 Although built for the East Africa trade, the IMPÉRIO was also used on the Lisbon - Brazil service and did an Atlantic islands cruise in 1955. After 1961 she also operated as a trooper. Photograph kindly sent by Mr Nuno Bartolomeu. There is no better way to preserve a classic ship than keeping her going despite SOLAS and age. The cruise ship FUNCHAL is one of such ships. Instead of spending millions in order to have an asbestos and smoke free dead ship berthed somewhere, FUNCHAL owner Mr George Potamianos is spending a few millions on a refit destined to make his beloved FUNCHAL fully compliant to all SOLAS 2010 requirements. A very lucky and fine ship, the FUNCHAL has been refiting in Lisbon since October 2008 and is now in the NAVALROCHA drydock nº 1 where I was able to take the photos on 18 March 2009. 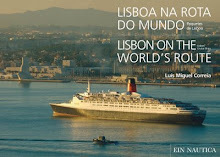 She will be back on cruise service from Lisbon on 3 April 2009. Uma das inúmeras atracções em exposição no Museu de Marinha de Lisboa é a barca a remos MARIA EULÁLIA, exposta no corredor junto à entrada do Planetário. Foi construída na Nazaré em 1967 e era utilizada para transportar tripulações, redes e peixe, dos antigos galeões e traineiras, do largo para a praia da Nazaré. Foi oferecida ao Museu de Marinha pelo armador João d e Deus Estrelinha no ano de 1983. O Museu de Marinha é um local de visita e peregrinação obrigatória para todos os entusiastas de assuntos do mar. Trata-se de um dos melhores museus marítimos do mundo, opinião formada por mim ao longo dos anos à medida que vou visitando outros museus congéneres no estrangeiro. 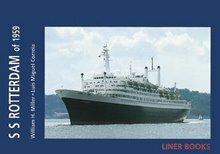 AZORES PASSENGER SHIPS / NAVIOS DE PASSAGEIROS DOS AÇORES é um livro dedicado à navegação de passageiros dos Açores, desde as carreiras regulares por vapores no século XIX, com destaque para a história e legado da antiga Empresa Insulana de Navegação, referindo igualmente a navegação estrangeira e o seu papel na emigração, os cruzeiros turísticos, sector em que os AÇORES estão a renovar uma tradição antiga, e ainda a navegação inter-ilhas de passageiros. Temas incluídos: Introdução, As Ilhas, o Mar e os Navios. Os Açores nas rotas dos paquetes. 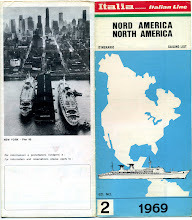 Os antigos navios de passageiros. Única ligação ao exterior. Emigração.Os paquetes da INSULANA. 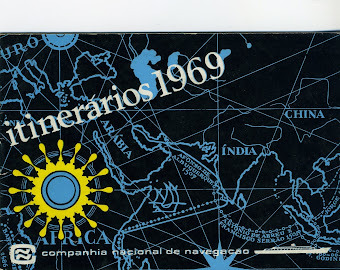 Os navios de passageiros inter-ilhas: a Insulana, a AÇORLINE, a TRANSMAÇÔR, a ATLÂNTICO LINE. Os Açores na rota dos cruzeiros turísticos. Os portos. As Portas do Mar. Post card showing the main dock at Leixões, the harbour in the mouth of river Leça that serves Oporto. 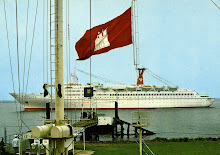 By analysing the ships in port, I would say the photograph was taken about 1970-1971. The cargo liner with cream uperworks is one of the four sisters of Sociedade Geral "B" class, either BELAS, BORBA, BRAGA or BRAGANÇA. 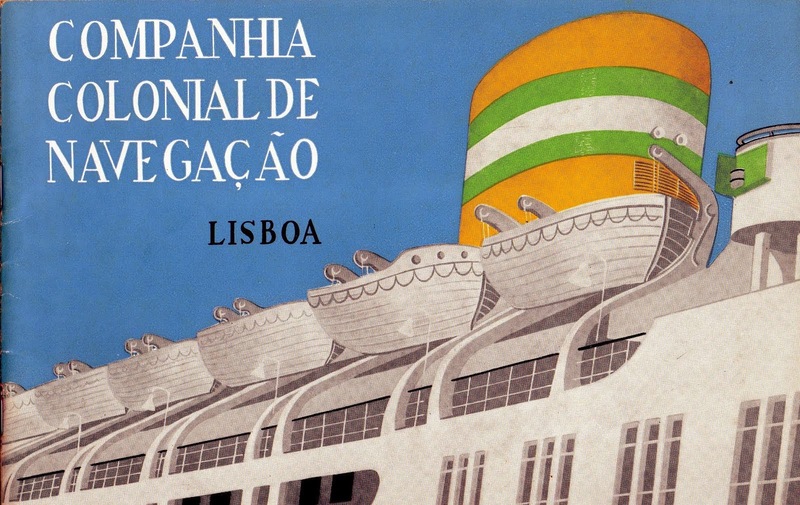 The company used to have the the ship's names and port of registry painted in large letters on the hull at mid ships a practice droped in about 1970 just before the fleet was taken over by Companhia Nacional de Navegação on 1 January 1972. 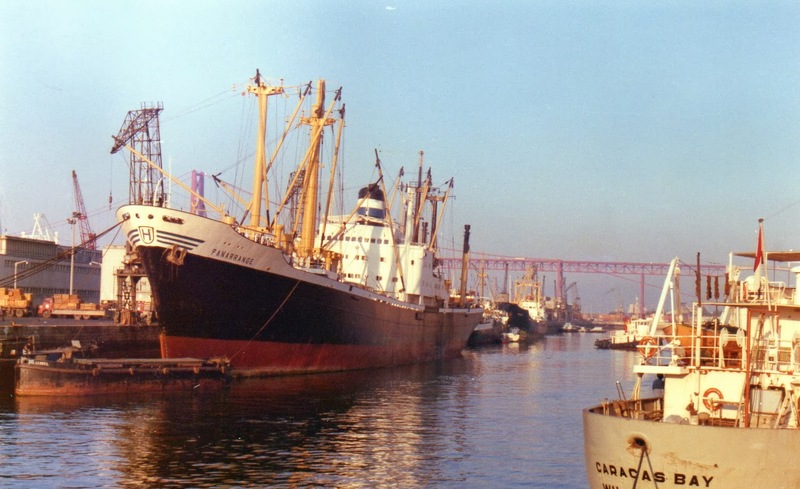 Berthed alongside the warehouse is the passenger liner UIGE (1954-1978) of Companhia Colonial de Navegação (mostly employed on the Portugal - Angola service and on trooping duties) and on the south bank of the dock the Cia Colonial liner PÁTRIA (1947-1973) can be seen eclipsed by the B ship. 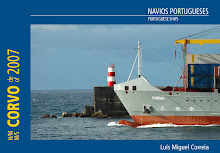 Leixões is still a very busy port but shipping has changed a lot since this image was recorded. Thanks to Nuno Bartolomeu who kindly sent the image. 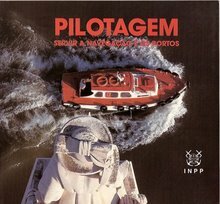 Há exactamente 3 anos começámos a partilhar e publicar aqui alguns textos e fotografias sobre navios e o mar. Começámos com as biografias dos paquetes PÁTRIA e NIASSA que continuam a ser vistas e lidas. Começámos e, mais de 600.000 visitantes e 1.500 artigos depois continuamos com o mesmo rumo, aproveitanto para agradecer a todos os que por aqui passam e muitas vezes manifestam o seu interesse comum pelos assuntos do mar. 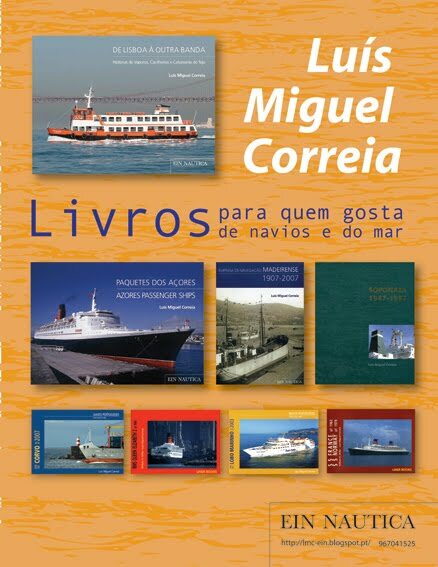 Para assinalar este aniversário damos a conhecer o novo livro de Luís Miguel Correia PAQUETES DOS AÇORES, acabado de imprimir, e divulgamos um texto do Eng. Gonçalves Viana sobre Portugal e o Mar. O nascimento de Portugal como país foi fruto da vontade de crescimento de uma população em expansão que encontrou um território, na verdade um único território para a realizar, pois não teve outra alternativa nesse momento, ocupado por uma variedade de populações das quais só algumas, poucas, tinham tradições marítimas. Mas para consumar a ocupação desse território imediatamente o nosso primeiro Rei apercebeu-se da importância da navegação ao longo da costa até para poder aproveitar a ajuda dos cruzados que por ela passavam a caminho do Médio Oriente. Assim no final do primeiro acto de expansão a fronteira sul era uma linha que ia da entrada do rio Douro em Portugal até Lisboa, cidade que logo se transformou na base de todo o nosso desenvolvimento e da nossa futura aventura marítima, dadas as condições excepcionais do estuário do Tejo para as actividades marítimas. Além disto tínhamos um vizinho forte e ambicioso, aliás vários mas que foram rapidamente dominados por Castela, o que significava em termos práticos que a nossa evolução tinha que se processar para sul e para ocidente, ou seja para o Mar. Passado pouco mais de um século D.Dinis, já com o país configurado do ponto de vista de fronteiras terrestres e com a organização desenvolvida por seu Pai, iniciou a organização da nossa Marinha, certamente não lhe tendo chamado cluster ou hipercluster por que não conhecia o Michael Porter nem lhe teria passado pela cabeça de chefe prático e eficiente que fosse preciso tais nomes para se fazer o que era preciso. Ao contrário de agora em que passamos o tempo todo a fazer reuniões, a nomear comissões, a redigir livros das mais variadas cores, a organizar festas e exposições, festivais gastronómicos muito marítimos, a arranjar a orla marítima de preferência com muitos restaurantes mas poucas embarcações, tudo isto em nome do Mar. É curioso, tanto quanto preocupante a comparação com a situação actual, que em dez anos D. João II conseguiu que se explorasse o Oceano Atlântico quase todo de forma que foi possível, depois de Bartolomeu Dias ter descoberto o caminho para a Índia, empurrar os Espanhóis para a América Central com a colaboração de Cristóvão Colombo, assinar o tratado de Tordesilhas que nos assegurou não só aquele caminho mas também o território do Brasil, e mudar os nossos navios de caravelas para naus que chegaram ao seu destino oriental e tomaram conta deste. E tudo isto sem escrever qualquer documento o que originou a situação paradoxal de vários historiadores portugueses agora porem em dúvida a autenticidade de alguns destes factos. Entretanto nós, nestes trinta e poucos anos que fazem parte do meio século em que mais e mais profundas mudanças ocorreram na História da Humanidade estivemos entretidos em destruir parte do que herdámos, como foi o caso da Marinha, em baixar o nosso rendimento real com políticas imediatistas e eleitoralistas, em discutir um aumento de meia dúzia de euros do ordenado mínimo etc., etc., e em falar e escrever muito, mas fazer no que respeita a Mar e a Marinha… nada, ou quase nada. Voltando a D. Dinis, para haver Marinha era preciso em primeiro lugar ter pessoas com capacidades específicas e como não as havia por cá foi buscar ao estrangeiro quem fosse capaz de o fazer. Também eram precisos navios e portanto criou estaleiros e outras infra-estruturas e assim se iniciou o tal cluster. De início a navegação era basicamente costeira mas quando a burguesia de Lisboa e Porto conseguiu pôr no trono D. João I rapidamente a necessidade de expansão apontou para o Mar e por isso se desenvolveram as técnicas de navegação, de combate naval, de construção naval para se poder enfrentar o mar alto e os inimigos, e assim se começou a chamada epopeia dos descobrimentos, de forma sustentada e progressiva, alargando o conhecimento dos ventos e das correntes do Atlântico que permitiu ir navegando cada vez mais longe e dominando assim as rotas mais importantes dessa época. Quando ainda muita gente pela Europa fora aceitava a cartografia de Ptolomeu já os portugueses lhe conheciam os erros e a carta dita de Cantino, além de muitas outras, mostra bem o avanço dos nossos cartógrafos. Mas além disto iniciámos a actividade comercial global o que completou o cluster da Marinha que, algumas dezenas de anos depois, começou a ser destroçado pela expulsão dos judeus, que como se sabe eram os seus componentes mais destacados, principalmente nos aspectos comerciais e científicos o que provocou a transferência destas competências particularmente para a Holanda e assim se desfez o predomínio do anterior império português. Portugal tornou-se, pela sua actividade marítima global, um país central conforme se pode apreciar quando se observa um planisfério com o Atlântico em primeiro plano, ao contrário do que sucede agora que, por não ter Marinha, passou a ser um estado periférico da Europa continental. Apesar das dificuldades acima indicadas, provocadas pelos erros cometidos pelas elites dominantes, a Marinha portuguesa continuou a ter importância e durante as guerras napoleónicas ainda tínhamos navios de elevada qualidade mas a deslocação da corte para o Brasil que levou grande parte da nossa frota que não voltou mais e logo a seguir a incapacidade nacional de acompanhar a revolução industrial e a evolução subsequente da construção de madeira para a de aço, deixou-nos a Marinha em péssimas condições. 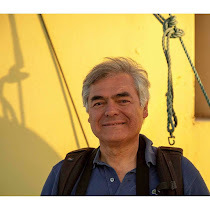 Os Reis D. Luís e D. Carlos ainda tentaram desenvolver actividades científicas marítimas mas não tiveram acompanhamento da sociedade civil que se mostrou totalmente incapaz de sustentar o cluster da Marinha. Só mais tarde após o despacho 100 de 1945 pelo Ministro da Marinha Cte Américo Tomás se iniciou a sua ressurreição, e em que o Grupo CUF teve papel preponderante, de tal forma que em 1974 tínhamos perto de 250 navios na marinha mercante e se desenvolveram vários estaleiros de importância internacional. Nessa altura ainda a marinha de recreio a nível mundial não tinha a expressão que tem agora mas a diferença da nossa não era da dimensão que tem hoje. Até então o cluster do Mar, isto é, da Marinha estava praticamente coordenado pelo Ministério da Marinha, portanto pela Armada o que depois de 1974 foi considerado politicamente incorrecto pois não era corrente tal prática tanto na Europa como na América, o que foi ainda agravado pelo preconceito que se formou resultante da confusa estrutura político-partidária que surgiu com a queda da ditadura e com as guerras coloniais dos últimos anos. A Marinha Portuguesa era, como não podia deixar de ser, a base do antigo império colonial do qual naturalmente havia várias críticas e razões de queixa legítimas mas também tinha dado muitas oportunidades para termos orgulho por muitas obras aí realizadas. Esse preconceito chegou ao ponto de a prática de desportos náuticos ser considerada fascista o que somado ao miserabilismo de alguns dos chefes revolucionários que defendiam como lema essencial acabar com os ricos, enquanto outros países se esforçavam por acabar com os pobres, levou à estagnação da Marinha de recreio e ao desprezo pelas actividades marítimas. Entretanto como consequência do desenvolvimento desta cultura anti-marinha, da desorganização do enquadramento legal e jurídico destas actividades e ainda das dificuldades causadas por exigências sindicais irrealistas e pelo enquadramento estatal pouco propício a níveis elevados de competitividade ao que se somou a cultura imediatista desenvolvida na vida política nacional, levou ao desinteresse dos capitais privados pelos investimentos nestas áreas. Nas duas últimas décadas as orientações políticas foram decididamente contrárias ao desenvolvimento da Marinha como aconteceu, por exemplo, com a perda de posições já adquiridas em Macau e com as dificuldades postas à criação de uma empresa de cruzeiros. Mas não se pense que só houve erros por parte dos políticos. 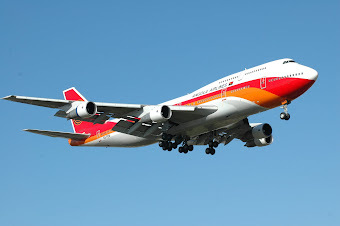 Quando o desenvolvimento dos aviões a jacto veio liquidar a validade dos paquetes de longo curso, muitos armadores de outros países foram transformando-os em navios de cruzeiros enquanto entre nós apenas o Funchal o foi, aliás com sucesso mas porque o Presidente da República Alm.te Américo Tomás se opôs à sua venda o que permitiu a sua transformação e aproveitamento. Os outros armadores nacionais possuidores de navios de passageiros não se mostraram capazes de darem o passo inovador que então se impunha e nessa altura não havia ainda as condições adversas que acima se descreveram características do período pós revolucionário dos anos 70 e 80. A propósito de termos referido as dificuldades quanto à competitividade convém recordar, muito resumidamente é claro, que esta depende das condições para os empresários como seja facilidades para investir, facilidades burocráticas para a operacionalidade, funcionamento eficaz da justiça, tratamento correcto do ponto de vista de impostos, tratamento correcto da previdência social específica destas actividades, etc., etc., e das condições para os trabalhadores que são sobrecarregados com custos de habitação e mobilidade elevados, bem como os custos da água, da energia, e outros que afectam principalmente as profissões de menores rendimentos mas que condicionam a competitividade das empresas. Aliás como já está definido em directriz europeia que os nossos actuais responsáveis por este sector continuam a ignorar. A quem quiser aprofundar este tema sugiro a leitura da entrevista ao Dr. João Prates Bebiano publicada na revista Cargo de Setembro de 2008. Quanto ao cluster do Mar ou da Marinha vou recorrer a parte do texto de uma comunicação por mim apresentada na Academia de Marinha em 1985 por duas razões:1ª para mostrar que esta questão não só é muita antiga mas também tem sido quase totalmente desprezada pelos media, pelos políticos e pelos empresários e 2ª ainda para mostrar que nestes vinte e três anos que entretanto passaram não houve alterações relevantes na constituição do cluster do Mar, além das novas tecnologias que afectaram tudo, que justifiquem poder agora dizer-se que estamos perante uma realidade nova, que, aliás, já tinha então quase setecentos anos de vida. Devo esclarecer que hoje muito provavelmente faria uma lista um pouco diferente porque em vinte e três anos houve algumas alterações provenientes do progresso tecnológico e científico mas na verdade em nada alterando a essência do significado da forma de aglomeração destas actividades ligadas ao Mar e portanto à Marinha. Por isto mesmo não vou gastar o vosso tempo e passarei rapidamente sobre esta parte para chamar a vossa atenção para o que considero mais importante neste momento: o que fazer agora, isto é, já para podermos contribuir eficientemente para tirar o País da situação difícil em que estamos actualmente. - Materiais: metálicos, plásticos, elásticos, fibrosos, vítreos e outros -i ncluindo a sua utilização, transformação e produção (por esta ordem) ,informática, hidrodinâmica - cascos e hélices , aerodinâmica – velaria, termodinâmica - motores, turbinas, mecânica - transmissões, redutores, sistemas hidráulicos, electrónica, telecomunicações, sistemas de transporte e manipulação de materiais, ar condicionado, sistemas de captura de pescado, sistemas de detecção de pescado . sistemas de tratamento e conservação de pescado. Já estamos a detectar nesta lista uma mistura de tecnologias de graus científicos e de graus de utilização diferentes e com aplicações mais ou menos sobrepostas a várias actividades. Para melhor se sistematizar esta exposição seria fundamental a elaboração de uma matriz enquadrando as actividades do ponto de vista aproveitamento económico e as várias tecnologias devidamente individualizadas se possível segundo um critério prático propício ao seu desenvolvimento coordenado. Quando digo graus científicos e graus de utilização directa quero referir-me a uma escala hipotética representada graficamente por um segmento de recta em que a extremidade esquerda representaria o máximo de «pureza» do trabalho de investigação científica, significando como tal a sua proximidade da ciência pura sem a preocupação de aplicação prática e imediata e em que a extremidade direita representaria a simples utilização pelo utilizador genérico por vezes até desconhecedor dos fundamentos científicos do que está a usar. É o que acontece com milhentos utensílios e equipamentos desde electrodomésticos a calculadoras e de automóveis a brinquedos. Para seguirmos os mesmos princípios que orientaram os responsáveis por este País quando se obteve o sucesso de que tanto é costume envaidecermo-nos, teremos que analisar exaustivamente esta complexa matéria tendo em conta que os estudos e trabalhos de investigação quanto mais próximos do extremo prático mais rapidamente se tornam rentáveis, menor é o investimento mas maior a dependência de terceiros para se lhes dar início e quanto mais perto se estiver do máximo de pureza científica maior será o investimento, maior o prazo até se conseguir o retorno respectivo mas também maior será a independência no trabalho e na decisão. Para cada caso ou grupo de casos aquela análise deverá permitir decidir por que grau começar, pesando nesta decisão o conhecimento das nossas possibilidades actuais e as potencialidades de desenvolvimento previsíveis. No fundo, actos de gestão: analisar, compreender, planear, executar, como foi realizado há alguns séculos com menos teoria e mais sucesso. Estamos neste momento em situação mais desvantajosa mas que isto não sirva de desculpa à nossa geração se um dia as seguintes nos classificarem como nós, em abono da verdade, temos que fazer quanto a algumas nossas antecessoras menos antigas que as da primeira dinastia e início da segunda. Para elaborar um primeiro esboço da referida matriz tentei basear-me na classificação por domínios adoptada no Anuário da Ciência e Tecnologia da Junta Nacional de Investigação Científica e Tecnologia, mas embora me tenha ajudado tive que adoptar uma listagem diferente. Não posso deixar de precisar em que consiste a desvantagem da situação actual em relação aos séculos XII a XV: nessa época possuímos tecnologia a par, ou mais avançada, em tudo o que se relacionasse com o mar, (e outras) dos povos mais adiantados, agora a lista atrás indicada só corresponde a uma pequena parte das tecnologias existentes e na maioria dos casos estamos ainda na fase da leitura. E aqui está desafio: vamos ficar assim dependendo do que o estrangeiro nos ofereça correndo o risco de perdermos a nossa própria identidade depois de sermos despojados do mar que temos ao nosso dispor e não termos sabido aproveitar tal qual novo mapa cor de rosa ou vamos proceder como aconteceu com os nossos antepassados de cuja herança ainda hoje aproveitamos os restos. Da parte que me cabe só aceito a segunda e assim espero vir a merecer a honra que me foi concedida ao ser eleito membro desta Academia. Como se pode avaliar rapidamente, as áreas tecnológicas abrangidas são inúmeras e com graus diferentes de aprofundamento mas todas, ou talvez mais sensatamente quase todas, dentro das nossas possibilidades de desenvolvimento imediato pois não podemos perder de vista que um dos objectivos essenciais a atingir é o da criação de postos de trabalho sustentáveis, aliás como dever ser sempre o desenvolvimento de um país bem governado. Assim teremos actividades como, por exemplo, os transportes marítimos como terceira bandeira que levam mais tempo a ganhar dimensão quanto a investimentos porque implicam o desenvolvimento de empresas de capitais elevados que só poderão existir após as mudanças de enquadramento necessárias mas que entretanto poderiam criar oportunidades de trabalho quase de imediato se desenvolvermos a Escola Náutica. No entanto convém recordar que em 1974 a frota mercante portuguesa que havia crescido baseada no nosso tráfego ultramarino já estava a crescer no mercado internacional e se tivéssemos progredido nessa direcção poderíamos ter aproveitado a nossa posição geográfica central para desenvolver a capacidade de “transhipment” e a criação de pontos logísticos internacionais com navios nacionais, sem esquecer o desenvolvimento correlativo da construção e da reparação naval. Mas antes de ir mais além é preciso criar uma cultura de Mar, mas uma cultura activa e não meramente contemplativa e gastronómica e isso só se consegue com a formação náutica da juventude em particular e da possibilidade da actividade náutica por vasto número de praticantes. Para o que, é essencial a existência de elevado número de postos de amarração e de acessos eficazes ao mar por pequenas embarcações que não precisam de estar sempre na água de forma a que a prática náutica não seja acessível apenas a quem seja rico como acontece com a maior parte das marinas. Portugal tem nos seus estuários e rias largas possibilidades para instalar pelo menos 30 a 40 000 postos de amarração deste tipo, além de algumas marinas mais ligadas a empreendimentos turísticos de gama alta. Pensar-se apenas na náutica de recreio com objectivos turísticos é um erro grave porque só é possível ter o grau desejável de qualidade de serviços se houver um mercado alargado que inclua grande número de praticantes de todos os perfis. Por outro lado a existência deste mercado alargado permite haver construção naval específica competitiva até podendo passar a ser exportadora como já somos em alguns casos, infelizmente ainda muito poucos. As Pescas e a Aquacultura também têm potencialidades de crescimento mas as primeiras terão que ser reestruturadas pois os estudos e planos realizados em 1982 para preparar estas actividades para a futura entrada na CE ficou por fazer até hoje do que resultou o seu atraso e a baixa produtividade actual. O aproveitamento dos fundos para obtenção de minerais e outros fins tem futuro com interesse mas implica grandes investimentos e demoras sensíveis nos respectivos retornos o que dada a debilidade da nossa estrutura empresarial significa que virá a ser praticada por empresas estrangeiras onde poderemos colocar técnicos portugueses se entretanto conseguirmos prepará-los convenientemente. Quanto às questões energéticas a primeira forma de energia a aproveitar é o vento como propulsor directo e depois como base para a produção de electricidade como se faz em terra e com os problemas mais ou menos idênticos. A produção de energia eléctrica pelas ondas e pelas marés na nossa costa será muito limitada e daí ficar como de importância secundária. Seria bastante mais útil investir-se em sistemas de protecção das costas. Não vou gastar o vosso tempo com mais descrições de potencialidades que na verdade até há mas que no estado em que estamos não adianta. Com efeito aquele texto que apresentei atrás foi escrito há 23 anos, como já disse, e não só nada adiantou como aliás logo a seguir até piorou quando a febre da rodovia quase apagou o transporte marítimo do mapa português. Como disse Peter Drucker o que se pretende de uma Administração, seja de uma empresa ou de um País, é que não tome muitas decisões mas em vez disso tome poucas mas boas. E que assuma que tomar uma decisão efectiva só é verdade se a realizar em tempo útil. É interessante recordar que por volta de 1960 os três grandes desígnios do Governo de então foram: fazer o Alqueva, o novo aeroporto de Lisboa e uma central nuclear. E a realidade bem a conhecemos. Nestas últimas décadas fizeram-se planos e programas nos quais se gastaram verbas colossais mas as decisões, as tais poucas mas boas e realizadas, ainda estamos à espera delas. Perspectivam-se grandes investimentos em transportes mas vemos com enorme preocupação serem tratados um a um sem os enquadrarem nos sistemas a que pertencem e sobre os quais nada se diz e pouco se sabe. Começou-se a falar do Mar e não faltam entidades a organizar reuniões, almoços, congressos, estatutos e muitas coisas mais excepto ir para o Mar naturalmente usando embarcações, isto é, desenvolvendo uma Marinha que abranja todas as áreas que a devem constituir ou seja desde a segurança e a defesa até à investigação científica, passando por todo o universo das actividades marítimas. E como vimos atrás são precisas apenas algumas, poucas mas boas decisões. E principalmente que haja quem as tome. O Instituto Nacional de Estatística (INE) divulgou que o ano de 2008 registou um aumento do défice externo português para 10,6 por cento da riqueza gerada internamente, o valor mais elevado dos últimos 14 anos. "Este agravamento é explicado pelo agravamento da balança de bens e serviços", segundo o INE, uma vez que o agravamento do saldo dos rendimentos foi compensado pela evolução positiva no saldo das transferências de capitais. Na mensagem de Ano Novo do Presidente da República, Aníbal Cavaco Silva afirmou que "há uma verdade que deve ser dita: Portugal gasta em cada ano muito mais do que aquilo que produz. Não pode continuar, durante muito mais tempo, a endividar-se no estrangeiro ao ritmo dos últimos anos". Esta realidade podia ser muito atenuada ou invertida se fosse seguida em Portugal uma política de fomento da economia do Mar com enfase no desenvolvimento da Marinha de Comércio e da Indústria Naval, actividades que por sua vez levariam por arrastamento a uma série de serviços geradores de riqueza e postos de trabalho. A política não assumida de desmaritimização generalizada que desde há 35 anos vem sendo concretizada tem custos enormes. Para além de desequilibrar a balança de pagamentos ao exterior, levou entretanto à perda de conhecimentos (knowhow) na diversas áreas da economia do Mar. Um quadro lamentável de desperdício de oportunidades que continua a ser ignorado pela opinião pública e pelas nossas élites, com algumas excepções honrosas. The Portuguese cruise ship FUNCHAL undergoing her extensive SOLAS refit in Lisbon. She is now in the dry dock of the NavalRocha shipyard. Se excluirmos o PORT DOURO, é tão raro haver actualmente uma oportunidade de se fotografar em Lisboa navios da PORTLINE que as fotos feitas a 11 de Março último ao cargueiro CHRISTINA I se podem quase enquadrar em dia de festa. Ainda por cima a luz estava boa e o navio apresentava se de cara lavada, bem pintado e bonito. O CHRISTINA I integra a frota da PORTLINE desde 2005, quando foi comprado juntamente com o seu gémeo ADEE, tendo este sido vendido o ano passado. 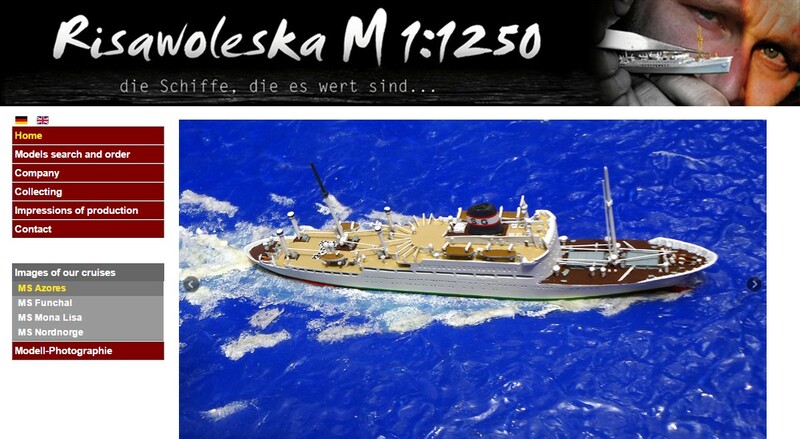 Ambos foram construidos em 1993 em Stralsund pelo estaleiro Volkswerft. 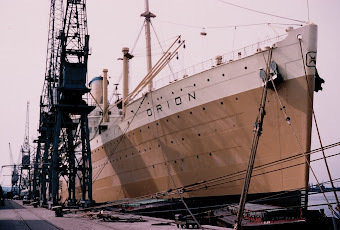 O CHRISTINA I (construção 486) foi acabado em Outubro de 1993 e entregue ao armador Hermann Buss GmbH, de Hamburgo, com o nome EASTERN TRADER (1993), chamando-se posteriormente CHARLOTTE BORCHARD (1993-1997), VENTO DI PONENTE (1997-2001), CTE ANADOLU (2001-2003), VENTO DI PONENTE (2003-2004), EASTERN TRADER (2004-2005) e NORASIA UKRAINE (2005). O ADEE (construção 485) foi entregue pelo mesmo estaleiro em Junho de 1993. Chamou-se HANNES OLTMANN (1992), BEAVER DIMITRA (1993), SUSAN BORCHARD (1993-1997), HANNES OLTMANN (1997-2003) e APL GUADALAJARA (1997-2003) antes de receber o nome ADEE atribuido pela PORTLINE. 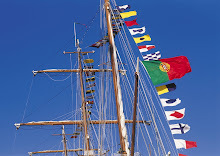 Este navio foi vendido o ano passado, chamando-se sucessivamente VASCO EXPLORER (2008) e VASCO BHARATHI,nome com que navega desde 2008, com bandeira de Singapura. Navio BÉRRIO entrando a barra do Tejo na tade de 10 de Março de 2009. O site da Marinha Portuguesa caracteriza esta unidade nos termos seguintes: "O actual N.R.P. "BÉRRIO" foi adquirido ao Reino Unido onde integrava a Royal Fleet Auxiliary (RFA) com o nome de "BLUE ROVER", tendo sido aumentado ao efectivo dos navios da Marinha de Guerra Portuguesa em 31 de Março de 1993. 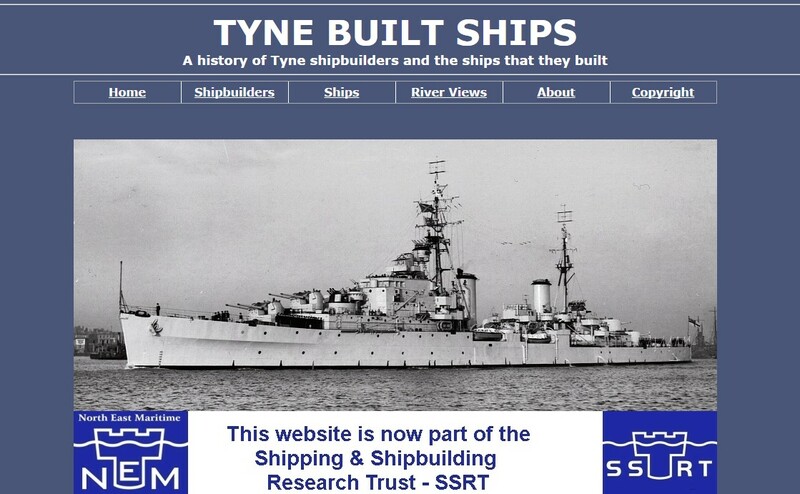 Viu a sua construção iniciada nos estaleiros Swan Hunter em Hebburnon-Tyne em 18 de Janeiro de 1969 com o assentamento da quilha. Foi lançado à água em 11 de Novembro do mesmo ano, entrando ao serviço a 15 de Julho de 1970. Foi alvo de várias acções de modernização, a última das quais em Março de 1991. A sua actividade operacional constante no apoio logístico aos navios da Royal Navy, levou a empenhamentos operacionais diversificados, sendo de realçar o conflito das Malvinas, em 1982, no Atlântico Sul, onde actuou nos teatros de operações das ilhas da Geórgia do Sul e São Carlos." Navio ALMIRANTE MAXIMIANO, nova unidade da Marinha de Guerra do Brasil largando do rio Tejo no pasado dia 10 de Março, em viagem de entrega. O navio de passageiros ATLÂNTIDA foi hoje tema de notícia do jornal Expresso, de Lisboa, e de outos orgãos de comunicação ligados ao grupo Impresa, de Pinto Balsemão. O ATLÂNTIDA encontra-se em fase final de construção nos Estaleiros Navais de Viana do Castelo por encomenda da empresa AÇORLINE para fazer a ligação inter-ilhas na Região Autónoma dos Açores, já a partir de Maio de 2009. A peça noticiosa centra-se em alegados problemas técnicos surgidos com a construção do navio, sugerindo que este é "uma sucata". A SIC Notícias numa manifestação oral de analfabetismo marítimo refere que quando seguir de Viana do Castelo para os Açores, os tripulantes do ATLÂNTIDA "estarão em risco" pelo facto de o navio se destinar a operar na navegação costeira nacional com meios de salvamento não adequados para operações de longo curso. Tudo isto e outras questões suscitadas são delirantes e até parece que o artigo está construído possívelmente inspirado por alguma agência de comunicação sensível à retórica do PSD dos Açores, que sempre atacou a política de ligações inter-ilhas com navios de passageiros promovida pelos governos socialistas do Dr. Carlos César. Claro que todos estes riscos são meramente teóricos para além de que o ATLÂNTIDA fará a viagem posicional do Continente para os Açores sem passageiros. Só quem tiver má fé ou desconhecer as características insulares da Região dos Açores pode pôr em causa a política de transportes marítimos inter-ilhas na sua base. É uma necessidade e tem-se revelado um exito. Pode é discutir-se se os pressupostos políticos que determinaram a opção que levou a deliniar os serviços nos moldes actuais são os mais avisados, mas aí há aspectos de política local a ter em conta, nomeadamente a protecção dos pequenos operadores de carga marítima a operar nos vários grupos de ilhas. Portugal tem vindo a sofrer uma política generalizada de desmaritimização que nenhum político assume mas todos os responsáveis com decisão na matéria nas últimas décadas vão cumprindo. 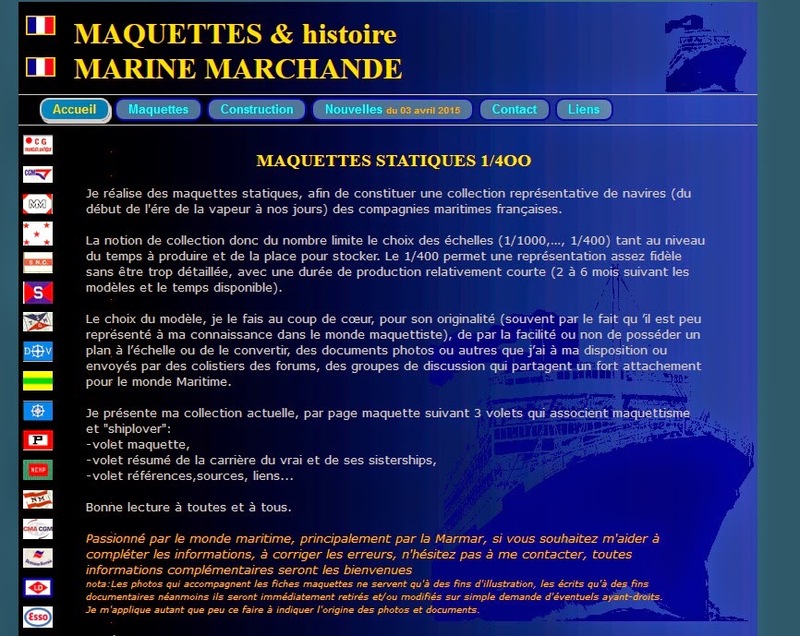 Desmantelou-se a Marinha de Comércio, a Marinha de Pesca, a Indústria de Construção Naval. Procedeu-se à demolição de escolas-modelo, como a da Marinha de Comércio e Pescas em Pedrouços, sem que a imprensa reflectisse sobre semelhantes casos. Perdeu-se autonomia em matéria de transportes face ao estrangeiro e ninguém faz contas ao montande dispendido no pagamento de fretes e no afretamento de navios ao exterior. A própria Marinha de Guerra não é tratada desde há muito com a dignidade que lhe é inerente, o reequipamento da Armada é sempre adiado e ou cumprido com níveis mínimos próximos do limite. 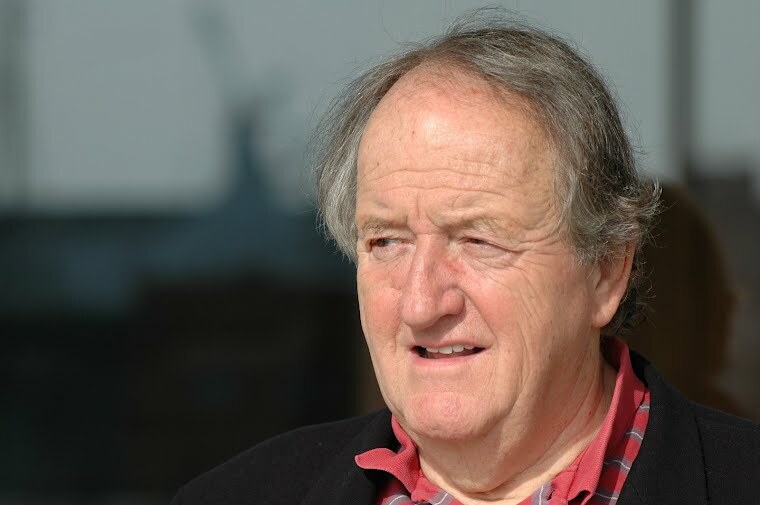 A par de tudo isto e como corolário, regista-se em Portugal uma profunda ignorância acerca dos assuntos do mar, da economia aos planos estratégicos, políticos, de soberania e cultura. O ATLÂNTIDA é um navio novo, cujo projecto é um protótipo feito à medida para responder a pressupostos de uma futura operação cheia de especificidades. É perfeitamente natural que haja alguns problemas técnicos nesta fase final de aprestamento do navio. Os Estaleiros de Viana do Castelo são actualmente o nosso melhor estaleiro de construção naval, com larga experiência decorrente de mais de 200 navios já entregues, muitos dos quais com características de grande especialização. A qualidade do estaleiro é desde há muito reconhecida por uma importante clientela estrangeira, pois a maior parte dos navios de Viana destinam-se à exportação. A situação económica e financeira do estaleiro não é melhor em resultado da actual conjuntura desfavorável e por pretencer ao Estado e esta entidade não ser própriamente exemplar na gestão e optimização dos nossos recursos. A grande mais valia dos estaleiros de Viana são os seus quadros e mão de obra que precisam de ser mais bem aproveitados e incentivados, sendo para isso importante que as administrações impostas pela Tutela (Empordef - Ministério da Defesa) tenham qualidade e condições de estabilidade a longo prazo, o que não é corolário do sistema. Especular com os navios novos da AtlânticoLine parece-me uma forma pobre de fazer informação, bom seria que se dedicasse mais atenção aos Assuntos do Mar na sua generalidade e em particular aos subsectores ligados directamente à economia. A nossa imprensa delicia-se com as falhas mas nunca divulga o muito que os estaleiros de Viana têm construído de positivo. Será que este estado de coisas não muda no actual quadro de mediocridade nacional? 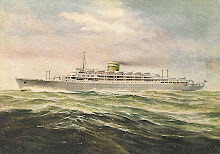 1 – A Atlânticoline S.A. contratou com os Estaleiros Navais de Viana do Castelo a construção de um navio ferry com determinadas características. É um navio com essas características que a Atlânticoline S.A. conta receber já este ano, a tempo de participar na operação de 2009, a qual se inicia a 13 de Maio. 2 – Caso isso não aconteça, existem mecanismos previstos no contrato e na lei geral que estabelecem penalizações e indemnizações pelo não cumprimento de algum ou alguns desses requisitos. 3 - Os Estaleiros Navais de Viana do Castelo estão numa situação de incumprimento quanto ao prazo de entrega do navio Atlântida, o qual era até 30 de Setembro de 2008. 4 – É factualmente falso que o navio Atlântida tenha menos meios de salvamento do que o necessário ou que estes não cumprem a legislação nacional e internacional aplicável. 5 – Não foi pedida, nem nunca seria aceite pela Atlânticoline, qualquer isenção a qualquer item sobre qualquer requisito relativo à segurança dos passageiros ou à operacionalidade do navio nos portos onde, desde o início, a sua operação está prevista. É, por isso, falso que o navio esteja isento do cumprimento de qualquer requisito legal, seja ele a Convenção SOLAS ou outra. 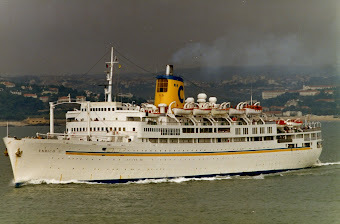 6 – O contrato celebrado entre a Atlânticoline S.A. e os Estaleiros Navais de Viana do Castelo sempre previu que o navio Atlântida operaria com a classificação de Short International Voyage, ou seja, no caso dos Açores, operaria dentro das 200 milhas. Esta classificação sempre esteve prevista no processo de construção e será cumprida pelo Atlântida, não sendo resultado de qualquer alteração introduzida durante a sua construção. 7 – É verdade que o Instituto Portuário e dos Transportes Marítimos (IPTM), no âmbito das suas tarefas de certificação, apresentou, em Fevereiro deste ano, um relatório onde constavam vários items que deveriam ser corrigidos pelos Estaleiros Navais de Viana do Castelo no navio Atlântida. Neste momento, as questões suscitadas no relatório do IPTM encontram-se já solucionadas ou em vias de solução. Refira-se, a bem da verdade, que, na construção de qualquer navio, este é um procedimento habitual e faz parte integrante do processo de certificação do mesmo. Não podendo existir qualquer dúvida a esse respeito, e como decorre das próprias regras que regem esta matéria, a Atlânticoline S.A. só aceitará o navio depois do mesmo estar certificado por todas as entidades que intervêm nesse processo, incluindo o IPTM na parte referente à segurança. 8 – A Atlânticoline S.A. reitera, mais uma vez, a sua total confiança no trabalho desenvolvido pelo IPTM no acompanhamento do processo de construção do navio Atlântida, salientando, igualmente, o profissionalismo e empenho do trabalho dos técnicos desse Instituto. Os Estaleiros Navais de Viana do Castelo garantem que o navio encomendado pela Atlânticoline será entregue na data aprazada, "em perfeitas condições de segurança e devidamente certificado". Os Estaleiros Navais de Viana do Castelo (ENVC) garantiram hoje que o navio encomendado pela Atlânticoline para transporte de pessoas e viaturas nos Açores será entregue na data aprazada, "em perfeitas condições de segurança e devidamente certificado". "Os ENVC reafirmam que o navio será entregue a tempo de realizar a sua primeira viagem na data aprazada [13 de Maio], em perfeitas condições de segurança e devidamente certificado, quer pela sociedade de classificação internacional, quer pelo Instituto Portuário e dos Transportes Marítimos (IPTM)", refere a empresa, em comunicado enviado à Lusa. A edição de hoje do Expresso refere, em manchete, "Açores paga 48 milhões de euros por navio cheio de remendos", acrescentando que o barco custou mais de oito milhões do que o previsto, atrasou-se um ano, ainda não foi certificado e há dias ainda apresentava "cerca de 100 de anomalias". No interior, e com o título "Dizem que é uma espécie de navio...", a notícia descreve as anomalias detectadas há um mês pelo IPTM, adiantando que o Governo dos Açores se prepara "para receber um navio novo para o transporte marítimo entre as ilhas que tem mais defeitos do que um navio velho" e acrescenta que "só mesmo um milagre de Fátima" é que permitirá que o navio seja entregue até 13 de Maio. No comunicado hoje emitido, os ENVC garantem que o IPTM, no relatório emitido em 5 de Fevereiro, "aprova um grande número de desenhos [do navio], ainda que relativamente a alguns deles tenha feito observações ou reservas, o que é um procedimento normal em qualquer processo de construção de um navio". A empresa acrescenta que "a maior parte" das observações e reservas suscitadas pelo IPTM "já estão sanadas", designadamente através do esclarecimento efectuado pelos ENVC, por escrito e presencialmente, em reunião com aquele instituto. Assegura ainda que a estabilidade intacta e em avaria "está assegurada de acordo com as regras aplicáveis" àquele navio e que não foi invocada qualquer excepção à Convenção SOLAS (segurança marítima). 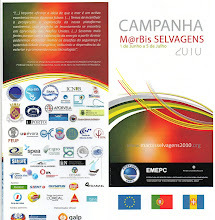 No comunicado, os ENVC esclarecem que o navio, por contrato, é certificado como "Short International Voyage", o que significa que só pode navegar até 200 milhas de um porto de abrigo, e garantem que os meios de salvamento existentes a bordo são suficientes para mil pessoas, "o que excede o número de pessoas que é possível embarcar". "É completamente falso que, em qualquer situação, os passageiros corram o risco de ser lançados ao mar depois de embarcados nas baleeiras", acrescenta. Os ENVC garantem ainda que o navio vai atingir a velocidade "dentro dos limites fixados no contrato", tem condições para operar nos portos previstos no contrato e que o combustível a utilizar pelo navio é o que está previsto contratualmente desde início. Quanto ao problema ocorrido com a falta de velocidade nos testes de mar, a empresa esclarece que "não poderia ter sido detectado antes" e que resulta de um "defeito de fabrico de elementos do sistema de comando dos motores, fornecido pela Siemens, que o fabricante se comprometeu a substituir urgentemente". "A construção do navio Atlântida sofreu uma série de alterações necessárias, quer derivadas das insuficiências do projecto, quer de solicitações do armador", admitem os ENVC. Esclarecimento dos Estaleiros Navais de Viana do Castelo acerca das notícias sobre os alegados defeitos do paquete ATLÂNTIDA. Fotografia do paquete EMPRESS atracado no porto de Maceió, Brasil. Imagem enviada pelo comandante deste belo navio de cruzeiros, Cte. Augusto Moita, que está neste momento a atravessar o Atlântico em viagem posicional do Brasil para Veneza, onde chega a 16 de Março. Não tive ainda a sorte de visitar Maceió, o mais perto que estive de lá foi a pairar fora do porto para desembarcar um passageiro doente, há uns anos a bordo do ISLAND ESCAPE. 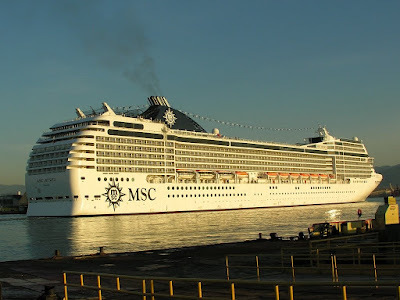 One of the highlights in this 2008-2009 Brazilian cruise season, the MSC MUSICA is seen here at Santos on 1 February 2009. Photos sent by Laire Giraud. 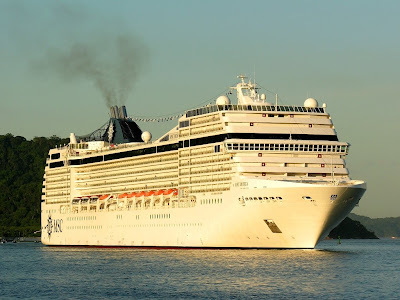 When Festival Cruises went bankrupt,the more modern ships in their fleet were aquired by MSC Cruises, and this concern newer ships still show the design influence from the original Festival ships. Ibero Cruceros cruise ship GRAND MISTRAL arriving at Santos Pilot Station on 28 November 2008. Photo kindly sent by Laire Giraud. 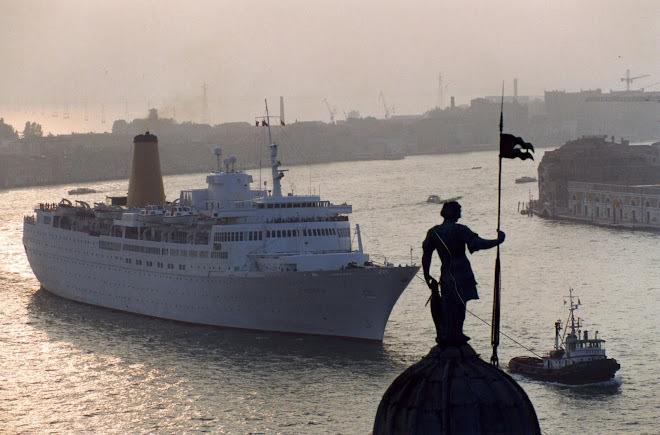 This colourful livery is a display of floating bad taste and makes the ship look even worse than she really is. 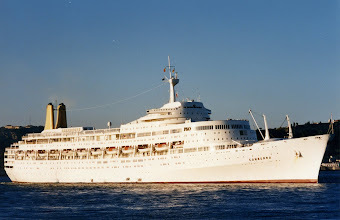 This ship was the first newbuilding constructed for Festival Cruises as MISTRAL. British submarine HMS TURBULENT photographed underway on 10 March 2009 at sea on the Eastern North Atlantic. The TURBULENT was commissioned in 1984. Classic International Cruises PRINCESS DAPHNE arriving at Cape Town on 5 March 2009 photographed by Trevor Jones. The PRINCESS DAPHNE is doing a long winter cruise around Africa from Marseilles for the French market, while her sister PRINCESS DANAE has been refiting in Lisbon. Belas imagens enviadas por Nuno Bartolomeu relativas a uma escala do navio de carga MUXIMA da Empresa Insulana de Navegação. 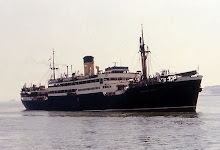 Os nossos antigos cargueiros da carreira de Angola iam a Cabinda principalmente para carregar madeira, sendo as operações feitas com os navios ao largo utilizando os meus próprios de cada unidade. O MUXIMA foi comprado em 1971 à companhia alemã HAPAG para fazer a carreira Norte da Europa - Angola, conjuntamente com o seu gémeo CONGO e os irmãos ROÇADAS e SERPA PINTO, de construºão soviética. 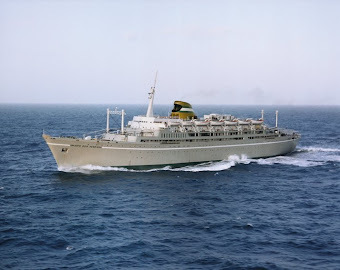 Em 1974 este navio integrou a frota da CTM. Obrigado por dar a conhecer estas fotos, Sr. Bartolomeu...Ver mais fotos do MUXIMA aqui. No primeiro domingo (1) deste mês, saiu uma interessante matéria no jornal A Tribuna de Santos com o título “Apitos de navios dividem opiniões”, assinada pela jornalista Lyne Santos, da equipe do caderno Porto & Mar. O assunto da reportagem é a polêmica que divide a opinião entre as pessoas, quanto aos apitos dos transatlânticos de cruzeiros, ao passarem pela Ponta da Praia. O texto é interessante e há opiniões de várias pessoas da Cidade, como a do prefeito João Paulo Tavares Papa e da secretária de Turismo Wânia Seixas, entre outras. onde são vistos a sua chaminé e seu apito. Na referida matéria, a minha opinião foi a seguinte: “não existe no mundo inteiro essa verdadeira festa, que é a saída dos transatlânticos. Eu sou a favor dos apitos durante as passagens dos navios pela passarela natural, na Ponta da Praia. Não acho que possam prejudicar o meio ambiente, já que são emitidos por 30 segundos. O charme dos navios é o som dos seus apitos. Sem apito a saída dos cruzeiros não teria graça, já que o sinal provoca emoções às pessoas”. Uma prova disso aconteceu, no final da temporada de cruzeiros 2001/2002, a despedida do Splendour of the Seas foi uma grande decepção para o grande público presente no calçadão da Ponta da Praia. O belo navio simplesmente passou deslizando em silêncio total. Não deu um apito sequer, deixando todos decepcionados com a atitude do seu comandante de deixar de dar o toque de despedida ou de agradecimento à Cidade que serviu de porto-base naquela temporada ao belo transatlântico. Lamentável! ão seus apitos de despedidas. Na foto, o Costa Magica em fev/2009. Ressalto que não sou a favor dos fogos disparados da Fortaleza de Santo Amaro, durante a saída dos cruzeiros. Acho seus estrondos fortes demais, e com certeza prejudicam o meio ambiente. Poderiam ser utilizados outros mais suaves, no estilo dos alegóricos, cujos ruídos são mínimos em relação aos rojões. Nas primeiras sete décadas do século 20, a cidade de Santos era um verdadeiro cenário de um grande desfile de navios de passageiros (foram mais de 1.500 transatlânticos diferentes), durante o ano todo. Era comum atracarem num mesmo dia até cinco transatlânticos. 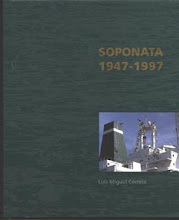 Esses navios de várias nacionalidades somavam-se aos cargueiros, navios-tanques (como eram chamados os petroleiros) e embarcações portuárias, como lanchas de serviços gerais, rebocadores, dragas, batelões, cábreas, barcaças de abastecimento de água e de transportes de bananas (o Brasil foi um grande exportador de bananas para o mercado europeu). Faziam um grande tráfego no canal do Estuário. rebocadores, informando que haviam entendido a manobra. Na foto, o britânico Andes, sendo auxiliado por um rebocador da Wilson,Sons. Foto: José Dias Herrera - Acervo: L.J.Giraud. O meio de comunicação entre essas embarcações era o código de apitos, o que tornava uma verdadeira sinfonia desses sinais sonoros. Isso acontecia a qualquer hora do dia ou da noite e ninguém se incomodava com isso. Era o som da Cidade do maior Porto da América Latina. O Porto do Café. Essa prática era mundial, pois ainda não utilizavam o rádio como meio de comunicação. Assim, todas as embarcações usavam esse meio marítimo de comunicação. Na verdade, era uma combinação de apitos curtos e longos, cada um com significado próprio. Por exemplo, uma embarcação que avistasse outra e fosse guinar para boreste (lado direito) dava um apito curto (duração de no máximo de dois segundos); caso fosse guinar para bombordo (lado esquerdo) dava dois apitos curtos. Isso para evitar um possível abalroamento. Há também o sinal de três apitos curtos, que significa que a embarcação está dando máquina atrás. Isso como exemplo, para embarcações em movimento, de acordo com o Regulamento Internacional para Evitar Abalroamento no Mar (Ripeam). em 1951. Notem os adornos que existiam na famosa amurada. Naquele tempo, quando os navios estavam em manobra de atracação ou desatracação, com auxílio de rebocadores, os práticos se comunicavam do navio para com seus mestres (comandante do rebocador), para indicar o procedimento da manobra. Assim, se utilizavam dois apitos diferentes. Melhor explicando: um apito de boca, no estilo e som dos utilizados por juízes de futebol, e outro do próprio navio (fixado na chaminé). 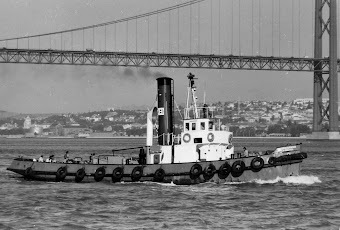 O apito de boca era para comunicação com o rebocador que auxiliava a proa (frente) do navio, e o do navio (com som baritonado) para o rebocador que ficava na popa. Dessa forma, não havia possibilidade dos mestres se confundirem. Os apitos eram assim: quando os navios estavam sendo empurrados em direção do cais - um curto significava parar; dois curtos, empurrar. Já quando rebocados, um curto simbolizava “puxe para boreste”, dois curtos “puxe para bombordo”; um curto, um longo e um curto era para o rebocador largar o cabo de reboque. o Giulio Cesare, clicado quando deixava Santos em 1969, por José Carlos Rossini. Quando um navio vinha descendo o Estuário em direção à Baía de Santos, o prático de serviço informava para a lancha da praticagem o bordo (lado) que ia descer. Caso fosse por boreste, ele dava um apito longo seguido de um curto; caso fosse por bombordo, dava um apito longo seguido de dois curtos. E a lancha se aproximava do bordo solicitado e o prático da barra, como era identificado o profissional que tem profundos conhecimentos das particularidades do Porto, com profundidade, pedras submersas, correntezas e ventos, para que o navio seja sempre conduzido, atracado e desatracado com toda segurança. 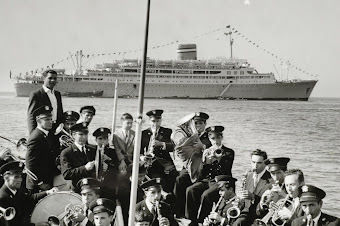 Vou aqui relatar um dia de muitos apitos de transatlânticos no Porto de Santos, ocorrido no mês de dezembro do distante 1956, quando estavam atracados quatro transatlânticos muito conhecidos - o português Vera Cruz, o francês Provence, o italiano Augustus, e o norte-americano Brazil (com Z). Tanto no cais como a bordo dos navios o clima era de grande excitação, causada pelas inúmeras pessoas que viajariam, como das que foram se despedir de seus amigos e familiares. estão nas barcaças ao lado do navio por volta de 1912. Acervo: L.J.Giraud. Repentinamente, ouve-se um apito longo, vindo do Augustus, que era o sinal para que os visitantes desembarcassem. Pouco tempo depois, dois apitos curtos avisando que ia ser feita a manobra de desatracação, realizada com auxílio dos rebocadores Marte e Saturno, da Wilson,Sons. Na asa do passadiço lá estava o prático Teófilo Quirino, o único à paisana junto ao comandante e oficiais com suas esmeradas fardas, coordenando a faina por meio de apitos do navio e de boca, como já foi explicado. Em certo espaço de tempo, foram deixando o cais os demais paquetes, como eram chamados os navios de passageiros. Suas despedidas eram três apitos longos seguidos de um curto, que era prontamente respondido por um dos rebocadores. ano, todos os navios apitavam simultâneamente. Era de arrepiar. 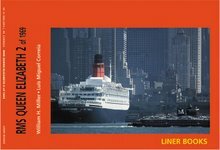 O apito dos navios, por fazerem parte da Cidade desde os tempos dos navios a vapor, estão presentes nas poesias, nos escritos e nas obras de ilustres santistas como Ruy Ribeiro Couto, Narciso de Andrade, Nelson Salasar Marques e Ranulfo Prata, autor de Navios Iluminados - diga-se de passagem, uma das melhores obras sobre acontecimentos do cais santista. Ruy Ribeiro Couto conta, numa de suas crônicas, que da Rua Luísa Macuco, que ficava nas imediações do Porto por trás dos grandes armazéns de café e desemborcava no mar podia ver todos os barcos que entravam e saiam. “Lá vai um vapor!”, era o grito de cada instante. O vapor em movimento era a imagem cotidiana com que o universo me mandava alegria. Certamente esses vapores apitavam. Vale ressaltar que o uso de apitos de navios em manobras foi utilizado até a chegada do sistema walkie-talkie em 1972, quando foi trazido pelo prático Felipe Shcechter, tornando mais fácil a comunicação entre embarcações. O sistema de apitos pode ser utilizado em caso de pane nos aparelhos de transmissão e retransmissão. Para terminar, uma lembrança. Até 1980, quando o contêiner ocupou seu espaço definitivo, os cargueiros recebiam as cargas soltas, em seus porões, e ficavam no Porto por vários dias, devido à morosidade da operação, ao contrário de hoje, onde os contêineiros permanecem por algumas horas no cais para carga e descarga de contêineres. Desse modo, os navios ficavam vários dias atracados. Com isso quero dizer que nas passagens de anos era de arrepiar os apitos simultâneos dos navios atracados somados aos fogos, que eram ouvidos em toda a Cidade, com grande alegria pela população. Os mais vividos certamente se lembram dessas celebrações. No site Youtube se pode ver diversos navios apitando ao deixar o Porto de Santos. O primeiro deles publicado abaixo, de 1991, mostra o famoso "Eugenio Costa" deixando o cais e apitando em direção ao mar aberto. O segundo, mais recente, mostra o "Costa Romantica" no início da temporada de 2006, retribuindo os apitos e manifestações de pessoas no Píer dos Pescadores. Vale a pena conferir esses vídeos amadores. Uma grande verdade: navio que não apita não se despede! * Laire José Giraud é despachante aduaneiro, colecionador de cartões-postais da Cidade e de transatlânticos antigos. Colaborador da Revista de Marinha de Portugal. Publicou cinco livros, como autor e co-autor, sobre temas da Santos antiga.